Jason Saksa, also know as Mr. Saksa, is Lakewood High school’s amazing health teacher. Lucky, I was able to ask him some questions I had about him and he kindly answered. Mr. Saksa started teaching in 1996 for a Catholic school in Cleveland. He attended Kent State for his undergraduate studies and then he went to Cleveland State for his masters degree. He said that he chose to teach Health and PE because they were areas he had excelled in, and they were classes he enjoyed in High school. Mr. Saksa has been teaching for 22 years and he plans to be teaching for 35 years so he plans to be teaching for 13 more years. He said he chose to work at Lakewood High school because he was called in for an interview and the position included a health teaching job which he didn’t have where he was teaching before. He also stated that he enjoys the classroom just as much he does the gym. He also said that his dream job would have been medicine, he said he would have liked to go to med school to become a doctor, preferably an anesthesiologist or an orthopedic surgeon. I had also asked him if there was anything else career based that he has done and he said no, but he has had many other jobs. He had bar tended for many years and also had sold home security systems for the world-famous ADT. 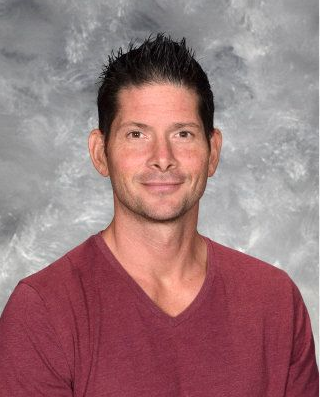 “Teaching at Lakewood High School has been an amazing experience. I cannot wait for the years to come,” said Jason Saksa.